Admit it, it's midweek, it's hot and you can't be bothered to stop at the supermarket on your way home from work. It's ok, we all feel the same way. We should embrace our leftovers! Quickly, do a mental stocktake of your fridge, what's in there? Now, let's cook! Leftover chicken, that's always in my fridge. If you also happen to have some cooked potatoes hanging around then chicken and potato croquettes are a great way to use both. If you'd rather not cook (it's meant to be the hottest day of the year so far, you know), then how does this noodle salad grab you? There are a few colds and bugs around at the moment so save some of that chicken for our Thai soup. It literally cures* all ails. 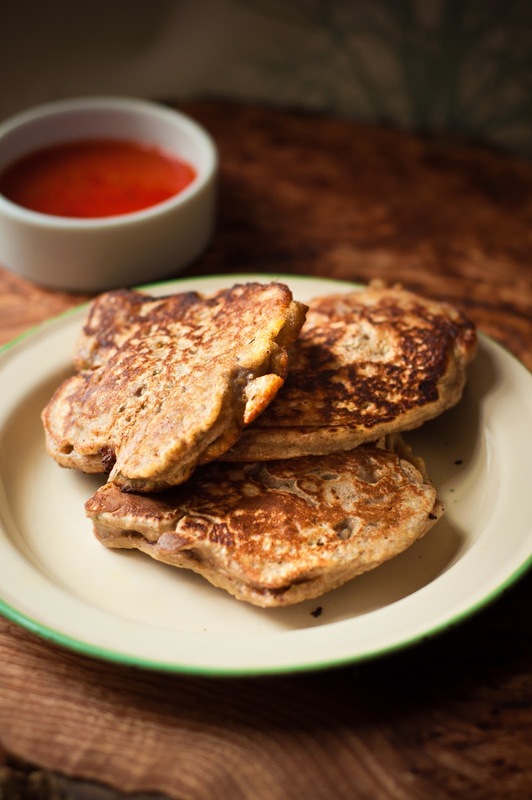 If you have some leftover lamb, you can't do much better than these lamb fritters. Is there some roast beef taking up space in the fridge? Get started on some Thai beef sushi rolls, now! For any leftover roast scenario, stovies are a good call, you can even chuck in leftover vegetables, too. Hands up who over-orders at the takeaway. Yup, me too. There's inevitably at least one container of rice left behind. Even when I'm cooking it, I make too much. Never fear, Mujaddara is here. It's a beautifully hearty and thrifty meal that's so tasty you'll start amking too much rice regularly! If you're out of lentils, though, how about some bibimbap to use up that extra rice? You can use whatever veg is in the fridge. While we're on the topic of too much takeaway food, here's a way to use up that extra curry. 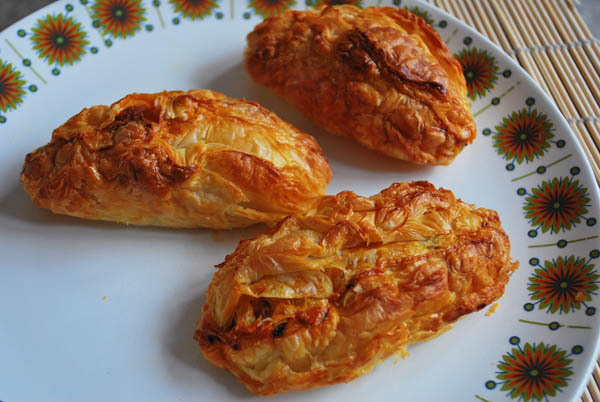 These mini chicken tikka pasties will transform any leftover curry into a tasty tea. It doesn't happen often, but we're occasionally in the position of having too much cake. I said occasionally, ok? When we are, we like to turn it into something delicious. 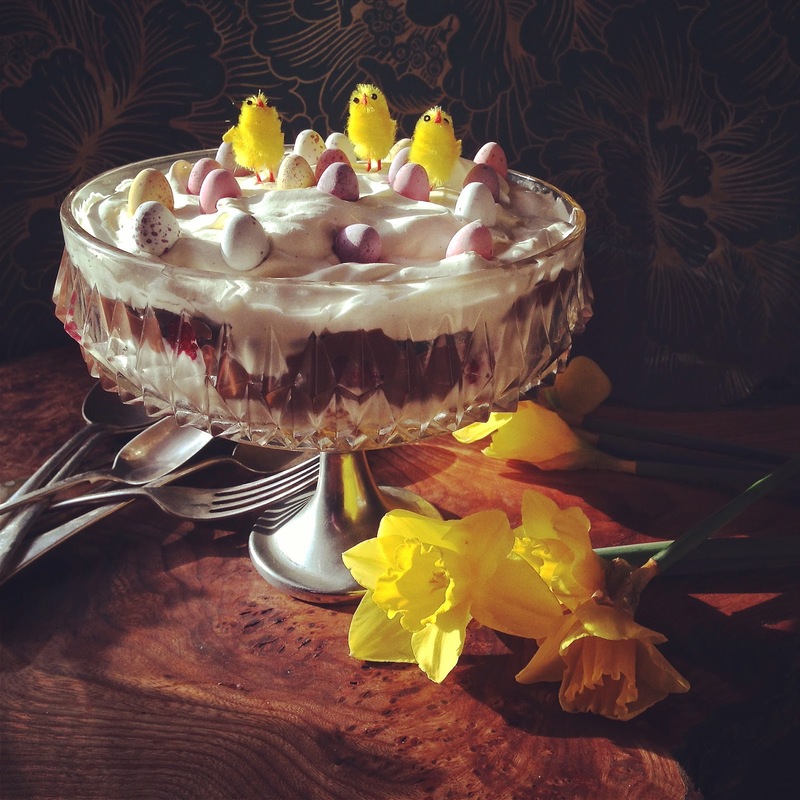 This boozy chocolate fudge trifle, for example (Easter chicks optional). Meanwhile, cake crumbs become terrific treats when you make snowballs. Want more? 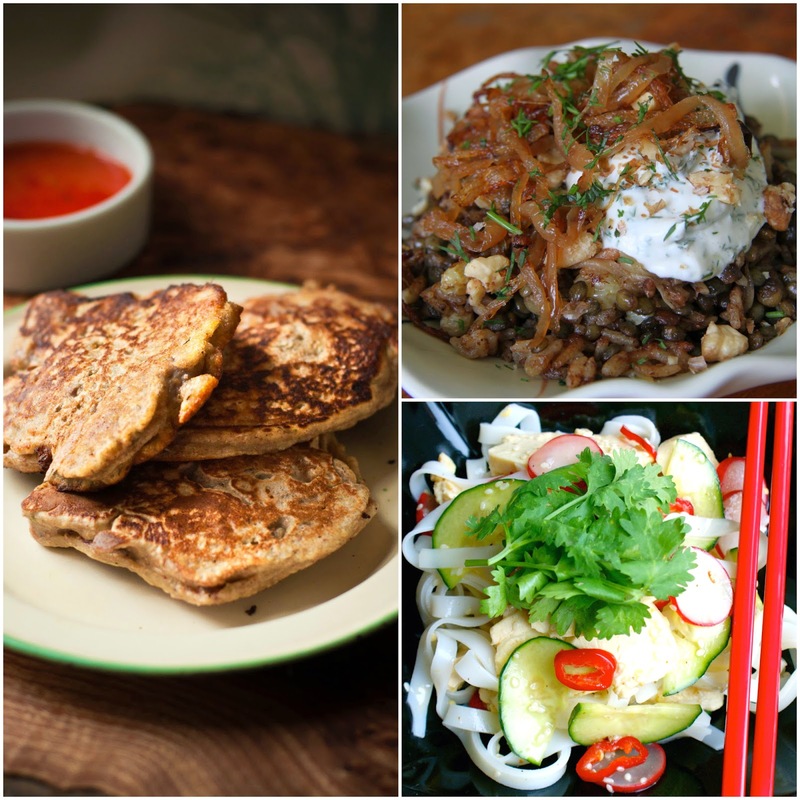 Then check out the rest of our top ten recipe posts! *May not actually cure, but you will feel a hell of a lot better!